Summer can present some planning challenges for working parents of young children. You may want to sign your kid up for swim lessons and special camps or dream of taking them to amusement parks and on special field trips, but all of that requires planning, transportation, work schedule flexibility, and affordability. But there are plenty of solutions for some summer fun that are less costly. Check out some affordable summer options for young kids this summer! Most daycare facilities undergo an exciting transformation in the summer months from their established program. 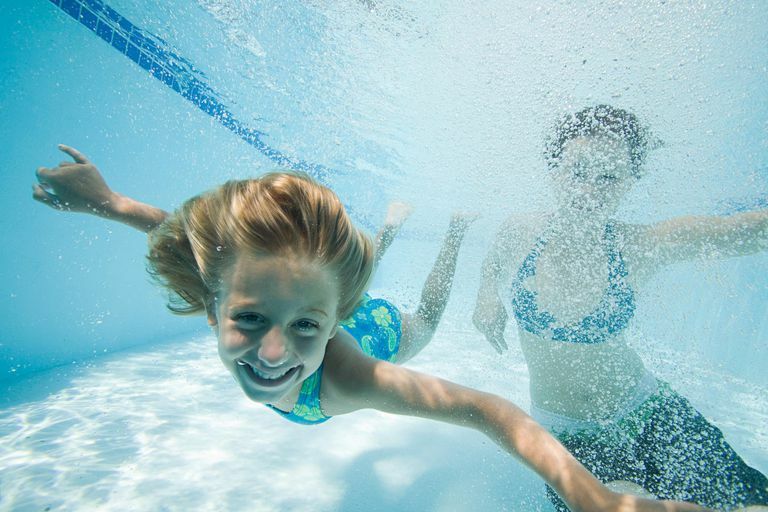 Many facilities have kid-crazed warm-weather activities to keep children enrolled in their program, and by the numbers of happy kids participating in summer fun, it works! Daycares typically package weekly sessions involving field trips; swimming, water parks or splash days; art and music enrichment offerings; sports outings; and more activities that just shout summer fun. And, transportation to these activities is generally provided as part of the summer fun weekly fee. Many communities have taken advantage of recreation centers and parks to offer reasonable child care during the summer and weeks when children are out of school. Sometimes a city promotes summer fun child-care camps as a community service for its residents and charges only enough to cover expenses and salary. A possible advantage to using recreation center care is if a parent only needs a few weeks covered and wants certain summer fun days or activities for kids. Many centers structure the fees on a week-by-week option, which allows for summer fun planning flexibility. Parents shouldn't delay, however, in signing up. Since spaces are limited, slots often fill up. Students home for the summer from college are wonderful summer babysitters. They are often hungry for a job and at the same time are optimum resources for summer fun for your kids. Sometimes, parents already know the individual from previous years, and perhaps he or she has babysat for you previously. For parents seeking summer fun times or select times only solution, this arrangement works much like babysitting, although parents will typically set a daily fee. With some planning and structure, this set-up can serve as a mini-summer fun camp for your kids. Some school districts are now starting to take advantage of their facilities that have not been used traditionally in summer months and offer summer fun camps of their own. The advantages are that the tuition fees often provide much-needed revenue for the school district and the staff is typically comprised of teachers and assistants already employed by the school. In fact, the summer camp leader could very well be your child's own teacher. Round up parents of similar-aged children in your neighborhood and start a summer fun program for your kids. Parents could alternate care and plan and carry out a fun outing for all participants for assigned days. There typically is no money that changes hands; the pay-off is that everyone equally takes turns and plans an enjoyable and safe day. Meeting and agreeing to a calendar of activities and events is advised. In a babysitting swap, you trade babysitting duties with another parent. This means you ask a friend/neighbor to watch your child and you pay back the favor when she needs child care. Depending on the age of the child and your relationship with the other parent, this could mean a friend sitting at your home from 8pm-11pm Saturday night while your baby sleeps or 3pm-6pm Tuesday afternoon while your child plays with her child. It is important to trust the parent you swap with and provide any rules/guidelines if necessary. The options are limitless and can vary in time, responsibility and extent. Summer is a time for fun and relaxation. Don't worry about keeping kids busy all day long. Allow your kids some downtime to just play outside, with friends or with nature. Providing kids with unhurried, unstructured time might be the best way to ensure a fun, happy summer experience.